In the “The Lab” we present the latest products and put them through their paces for you. Some undergo long-term tests, while we check others out only briefly. This time we reveal how the FAST Suspension Fenix shock fared. We’ve all watched the videos of Trophy Trucks rushing through the desert full-throttle in the Baja 1000 race, taking off on a dune and seemingly sticking back to the ground right after landing. And that’s exactly how Christoph’s RAAW Madonna feels since he’s swapped his rear shock for a FAST Suspension Fenix coil shock. FAST has achieved this through a special design of the compression damper. 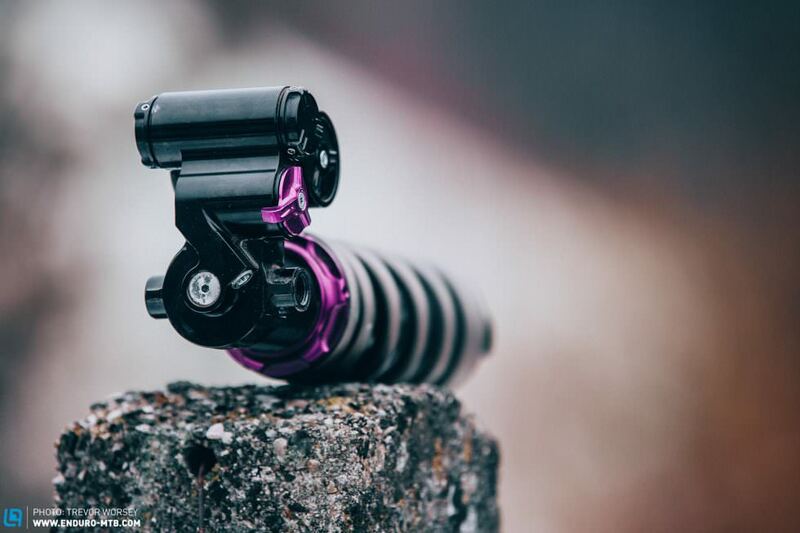 Since many frame designs aren’t compatible with coil shocks (which have too little progression), FAST has integrated a second damping piston which offers hydraulic bottom-out protection. 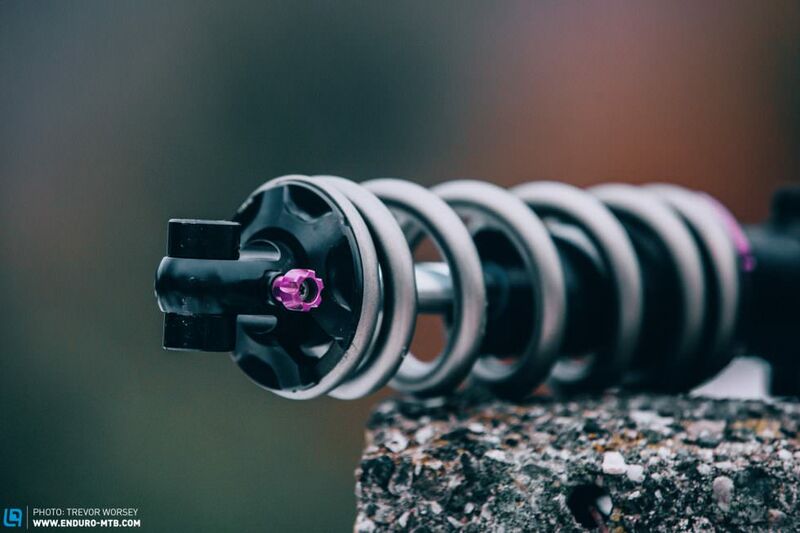 The shock also allows you to set the low- and mid-speed pressure stages as well as low-speed rebound with 24 finely-graduated clicks. 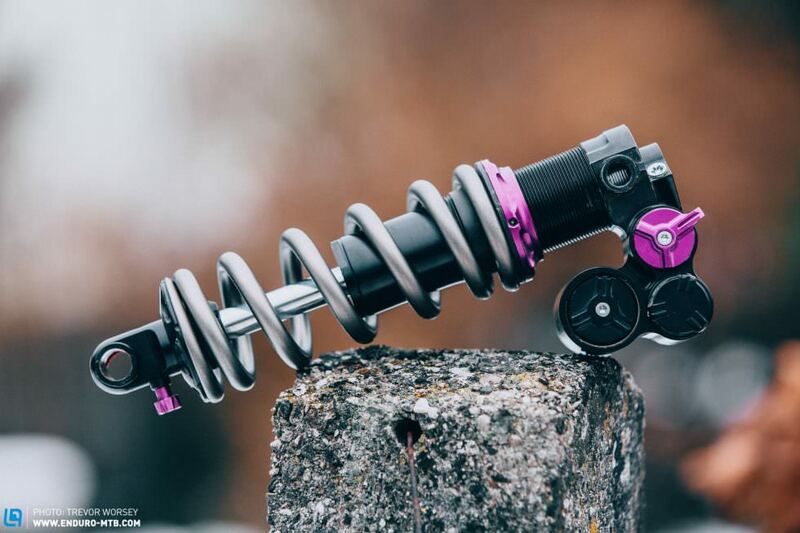 The Fenix is Fast’s first shock to be compatible with the Trunnion Mount standard. The price of € 950 includes the actual shock body, one spring and the first service. EfficientThe climb-switch damper works efficiently and allows the shock to sit high in the travel on climbs. FAST Suspension will tune each shock to the bike’s and rider’s very own specifications — once you have bought the shock one of their technicians will get in touch with you and go through a few preliminary questions. 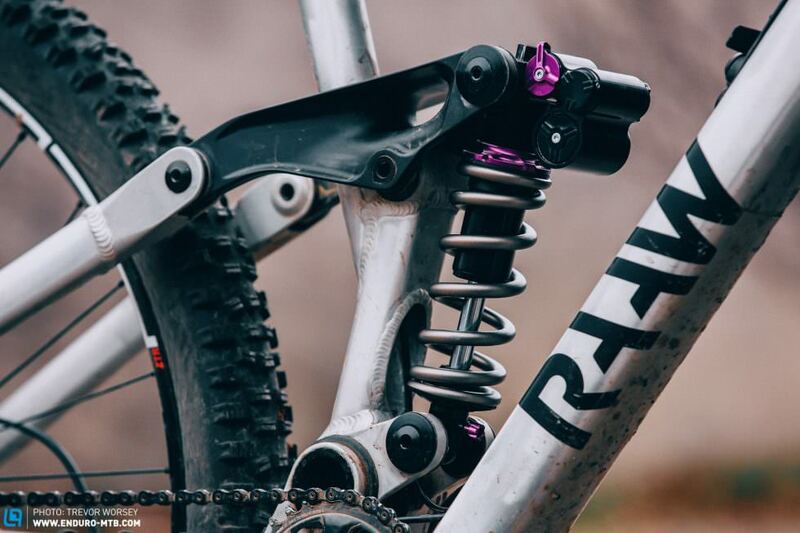 Compared to the RockShox Super Deluxe Christoph was running before, the new shock makes the rear-end significantly more sensitive. With the Fast Suspension Fenix, the RAAW Madonna literally eats-up everything you throw at it, inspiring tons of confidence and providing a smooth and controlled ride at the same time. MinimalThe differences between individual clicks are minimal and the available setting range is rather small. If you’re a fine-tuning geek you’ll love it but if not, there’s a good chance it will drive you a little nuts. With the new shock Christoph’s bike’s rear-end works so sensitively that it seems to respond to every little grain of dust on the trail. Even the hardest hits don’t bother the Madonna’s rear-end anymore and Christoph has never felt the shock bottoming out. Instead it feels incredibly controlled especially on hard consecutive hits. The differences between individual clicks are very small and we recommend adjusting the shock in units of 2-3 clicks first and then making the final micro-adjustments to find your ideal setting. Because of the supple response of the shock, the bike requires a little more input on jumps and when riding off ledges — even manuals require a little more strength. However to provide some context, the Fenix generally offers more support than a FOX DHX2. When climbing the drive-neutral rear-end of the Madonna can be locked effectively with a separate Climb Switch lever. This doesn’t lock out the rear-end entirely and maintains good traction whilst increasing the bike’s efficiency. The FAST Suspension Fenix improved the performance of Christoph’s RAAW Madonna significantly. The rear-end works more sensitively, feels plusher and offers more traction. If you’re into rough, high-speed riding you’ll love this as an upgrade! However the increase in performance does sacrifice some of the agility of the bike.